Wow, the sun has got his hat on .....! Only thing is, I wonder how long it will last as every day there seems to be rain at some point. Our local amateur weather forecaster is predicting warmer weather come the weekend so fingers crossed, he's usually right on the button. I made this card yesterday. I had a star design in my head but when I was cutting the stars out they sort of fell onto the card and another idea was born ... and it was better than the first one I had. I hope you like it. Off now to get Mr C's food bag ready as he's working midday to midnight and needs lunch and tea. I'll need to pay a visit to Messrs M&S later or he'll not get any food tomorrow! 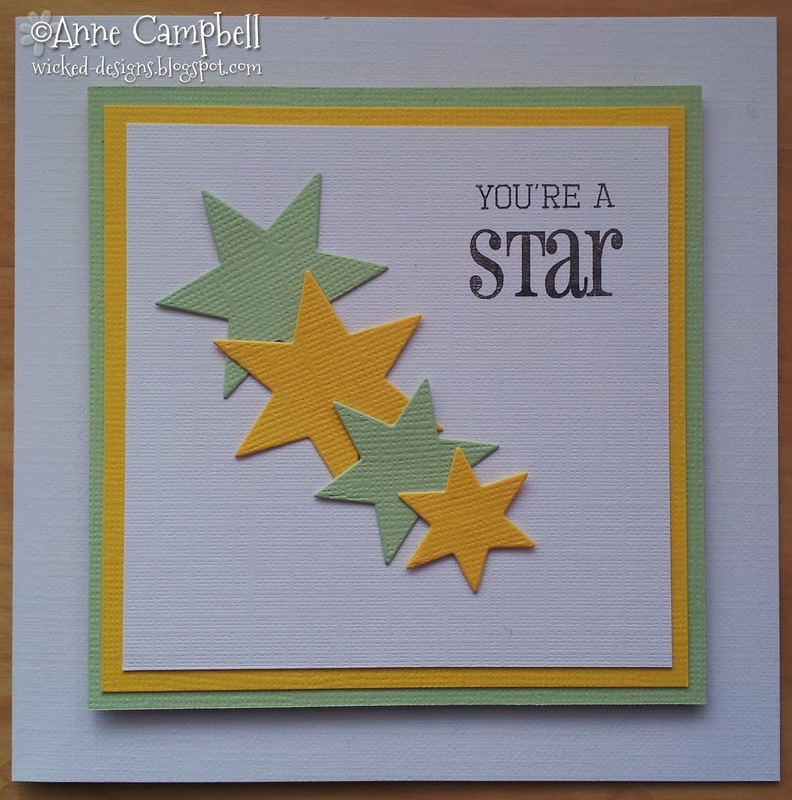 LOVE this bright sunny card, Anne. So happy you finally have some sun ... how about sending some here. It's looking dark and cloudy... Have a lovely week. Fabulous CAS card! Stopped over from MIM! This is a brilliant card Anne, I love your CAS design. This is fabulous Anne, you are the star!!! I just LOVE CAS cards and this one is great! Saw you on MIM!